Boletus. White Mushrooms Are On The Table Near The Italian Restaurant. 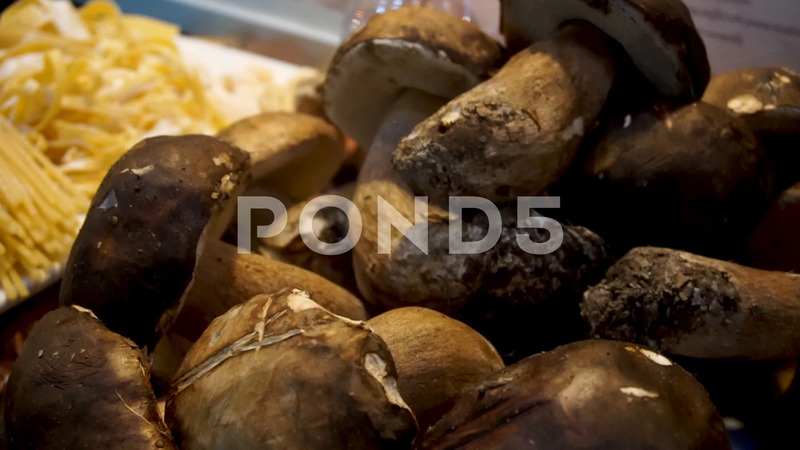 Description: Boletus. White mushrooms are on the table near the Italian restaurant.